intandem supports young people aged 8-14 years who are looked after at home. The service is designed to offer them opportunities to have fun, learn new skills and access their local communities within a safe environment. Adult volunteers, from all backgrounds and experiences are recruited, trained and managed by Volunteer Glasgow. They are selected for their qualities of commitment, reliability and stability. The Mentor and the young person will spend 2-4 hours per week together, engaging in various fun activities and hobbies. The arrangements are entirely flexible and usually left to the Mentor and the young person. There is no cost involved for parents or young people. All reasonable expenses are covered by intandem and we encourage your child not to bring money along to outings. How does a young person get a Mentor? When a young person is referred to intandem, our Support Worker Sam Termer will visit you at home to give you information. Sam will check both you and your child are happy about having a Mentor as intandem is completely voluntary. She will also try to get some impressions of the interests, wishes and needs of your child. Once a suitable Mentor has been identified (suitability depends on matched interests and personalities), and if everyone is happy to go ahead with the match, you and your child will be introduced to the Mentor by the Support Worker then mentoring will begin. The Mentor will pick up and drop off the young person at their home address and there should be a responsible adult present at both times. Should your child be unable to keep an arrangement, please let the Support Worker know. If a Mentor is unable to make an outing they should always let you know. Once mentoring begins, a Mentor will meet with the Support Worker each month as a check on quality control. At these meetings there is discussion about the progress of the relationship and of the young person. At least 4 times a year, the Support Worker will meet with the young person and their parent to check out their views of how things are going. However if anyone is concerned or unhappy about the relationship, has a query or would like to discuss something at any time, the Support Worker is available at short notice. A young person can have an intandem mentoring service for as long as they need it but a match will last as long as the circumstances of the young person and the Mentor allow. Any information remains confidential within the service except where the welfare and safety of the young person is in question. All volunteers have clear training and guidance on our policies. 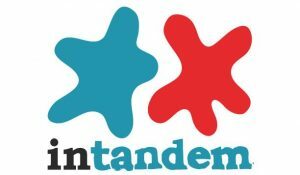 intandem and Volunteer Glasgow are committed to safeguarding the welfare of all children and young people. We recognises our responsibility to take all reasonable steps to promote safe practice and to protect children from harm, risk of harm, abuse and exploitation.